With help from low interest rates and a strengthening economy, the Lexington commercial real estate market experienced another robust and steady year in 2017. Vacancy rates remain low across multiple sectors of the economy, with industrial vacancy at 3.26 percent and retail vacancy at 5.83 percent, according to the most recent Mid-Year 2017 Commercial Real Estate Market Report issued by NAI Isaac Commercial Properties. The suburban office vacancy rate stands at 12.07 percent, while the vacancy rate for office space in the central business district is slightly lower, at 11.32 percent. “We’ve seen positive absorption in all sectors,” said Al Isaac, president of NAI Isaac Commercial Properties. Commercial property sales volumes for January through November in 2017 have already exceeded the average yearly volume for the five-year period from 2012 through 2016 in multiple sectors, including office, indus­trial, hospitality/recreation and multi-family, according to data compiled by the office of David O’Neill, the Fayette County property valuation administrator. While total dollar values for existing sales in most sectors for the first 11 months of 2017 have not yet topped the five-year averages, high-profile new develop­ments such as the Summit at Fritz Farm, which are not reflected in the existing sales numbers, have brought new businesses to the market and reinforced a generally robust commercial year. 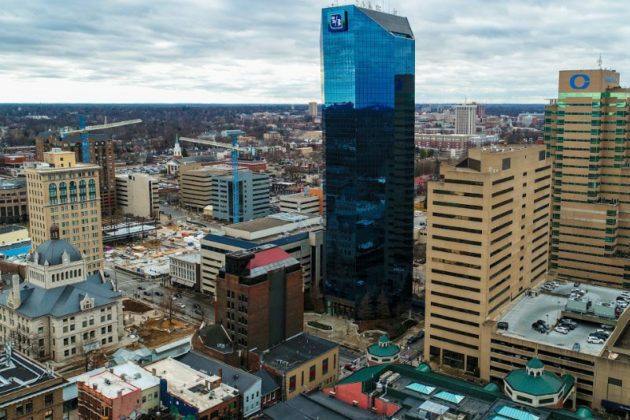 “Since 2009 and going forward, we’ve had good, solid growth and overall very good results in all sectors,” said Jamie Schrader, owner of Schrader Commercial Properties and presi­dent of the Commercial Property Association of Lexington. Industrial property, in particular, has been in high demand, Schrader said, and finding available land for new construction that is zoned for industrial uses is becoming increas­ingly more challenging. Would you like to know about new investment opportunities and new properties on the market? Copyright © 2019 Schrader Commercial Properties, LLC.